The new Tech 2 PRO tires use a varied-pitch tread in a pattern with fewer center knobs and a concentrated shoulder formation to maximize performance in both loose and packed terrain conditions. Engineers strategically tuned the PRO's lightweight carcass for the optimum balance of stiffness and flex. This maximizes the contact patch for best traction, and preserves bump-absorption characteristics, keeping the tires planted for performance. The newly developed compound helps the tire hook up on hard-terrain MX conditions, and lets the tire excel in harsh off-road conditions. 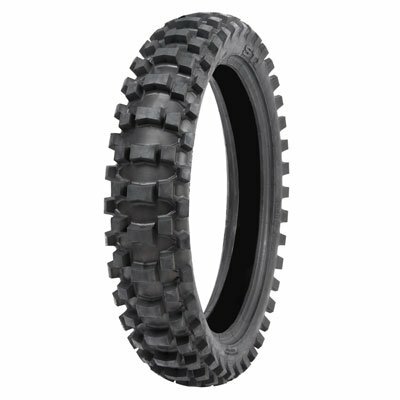 These new Tech 2 PRO tires provide durability that will be appreciated by top racers at a price trail riders will admire.